Milka Peikova (b. 1919, Pavel, Bulgaria, d. 2016, Sofia, Bulgaria) was a famous Bulgarian artist. She created paintings, posters, book covers, portraits of famous Bulgarians, textile designs and alphabets, both individually and together with her husband Georgi Kovachev-Grishata (1920-2012). She is a graduate of the Bulgarian National Art Academy, class of 1948. She founded Cosmos magazine and designed for the Women Today and Problems of Art magazines. In 1979, she designed an alphabet that was extended to an 8-style Latin / Greek / Cyrillic stencil typeface—Milka (2016)—by a team of designers at Lettersoup that includes Ani Petrova, Botio Nikoltchev, Adam Twardoch and Andreas Eigendorf. The basic Milka font is a clean stencil design, while the Aged, Baked, Brittle, Crunchy, Dry and Soft styles are inspired by stencil and letterpress techniques and expand the usefulness by adding various degrees of warmth or roughness. Milka Peikova also designed the first Bulgarian typeface for phototypesetting called Grilimil with her husband Georgi Kovachev-Grishata. 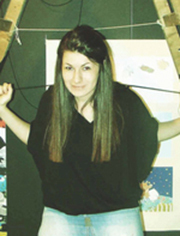 She is the recipient of the first prize for a typeface at the Bulgarian National Book Exhibition and Illustration. Adam Twardoch (b. 1975) was raised in Tychy, Poland, and graduated from the University of Frankfurt/Oder, Germany. He worked at for Agentur GmbH, a Frankfurt/Oder-based design firm. Since 1991, Adam has advised numerous type designers on Central European extensions of their typefaces and has created localized versions of over fifty fonts. He frequently writes on type-related matters, and is the founder of Font.org, a (now defunct) website featuring articles about typography in English and Polish. Adam Twardoch is Director of Products of FontLab (since 2004), and is typographic consultant at Linotype (since 2002) and Tiro Typeworks (since 2001), and general font specialist at MyFonts (2000-2012). Since 2012 he is based in Berlin. Adam Twardoch is working in the field of font technology, multilingual typography, CSS webfonts, Unicode and OpenType. Berlin, Germany-based font engineer. Designer of several CE versions of FontFont fonts, such as the CE versions of Ole Schaefer’s Fago: FF Fago Office Sans CE, Fago Office Serif CE (2000).